As controversy over development along Boothbay Harbor’s east side continues with a public hearing Monday evening, a nonprofit foundation has completed the purchase of the Sea Pier lobster-buying station. The Boothbay Region Maritime Foundation will continue to run the property as a lobster-buying station, according to a release, and plans are underway to repair the property and restore the pier to its former size. The property joins the adjacent Cap’n Fish Motel to form a stretch of property recently purchased by nonprofits to preserve public access to the water and the working waterfront. Ken Fitch, president of Boothbay Harbor Waterfront Preservation, which purchased the motel in November, said last month that despite increasing development pressures along the east side, he’s now confident that access will be preserved. Southport developer Paul Coulombe, who — along with many other projects in the Boothbay region — built an 18,000-square-foot home off nearby Southport, and purchased and redeveloped the former Boothbay Harbor Country Club and Rocktide Restaurant and Inn into Boothbay Harbor Oceanside Country Club, has proposed rezoning the east side of the harbor into a limited commercial district, which would allow hotels, recreational marinas and housing. 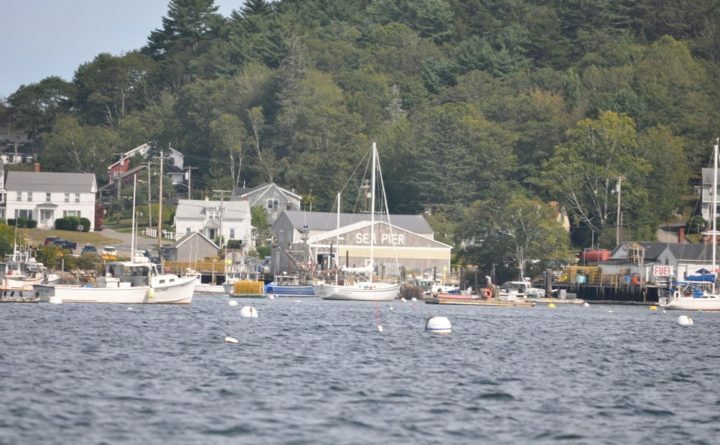 Citing Boothbay Harbor as “a prime example” of endangered working waterfront, Maine Preservation has asked the town to re-examine how it manages its historical and cultural resources, and recommended the town update its comprehensive plan. An independent planner told the town’s Board of Selectmen that the proposal does not follow the town’s comprehensive plan, the Boothbay Register reported, but town attorney John Cunningham said the proposed ordinance is legally sound. A public hearing on the rezoning proposal is scheduled for Monday.